part of any vidnaObmana album. Vidna was able to explore over these past five years. of reply." All are quite different but strongly interconnected. Obmana retrospectives on Projekt: Archive. A 70-minute collection of previously unreleased and compilation-only tracks. 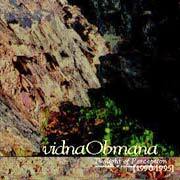 “An indispensable look back along the path that has led to vidnaObmana’s watershed work of recent years. Highly recommended.” – INK NINETEEN.